As many of you may know, the much-anticipated newest addition to the Pixar Cars franchise, Cars 3, was released this weekend. In the movie, Lightning McQueen is a bit older, with several Piston Cups under his belt, and is finding himself being pushed out of racing by a new generation of younger, faster cars. Hoping to get back into gear, he turns to an eager young technician, named Cruz Ramirez, to help him get into tip top shape. Jackson Storm is the face of the newer next-generation rookie racers that are stronger, faster, and more technologically advanced and becomes Lightning McQueen’s newest racing rival. 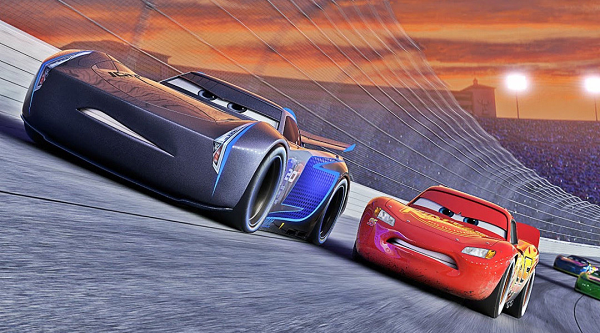 With his speed and endurance, he threatens McQueen’s racing career and tries to force him into retirement, like the other older vehicles that are steadily backing out of racing. 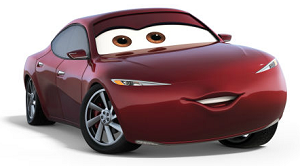 She is a young Hispanic female car who works as a trainer at the Rust-eze Racing Center and becomes Lightning McQueen’s technician and trainer during the movie. She was a life-long fan of McQueen’s, who throughout her childhood always dreamed of becoming a racecar just like him, and was very excited to train him when he arrived at the Rust-eze Racing Center. Throughout the movie, she teaches McQueen a thing or two to help him get back in shape, but she also learns along the way that there is much that she does not know and he has much to teach her, as well. Smokey is an old, orange pickup truck. He was the Hudson Hornet’s former mechanic and crew chief. Lightning McQueen goes to him for help because he was the mentor of his mentor and he needed some help from the old to beat the new. Smokey, along with other old timers, River Scott, Louise Nash, and Junior Moon, help McQueen train at the abandoned Thomasville Speedway for his big race. Smokey’s character is based on the legendary NASCAR mechanic Smokey Yunick. 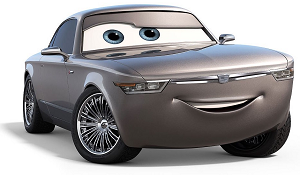 Sterling is a sleek, silver, rich businessman car who bought the Rust-eze company from Dusty and Rusty and became Lightning McQueen’s new sponsor. He owns and operates the fancy Rust-eze Racing Center. 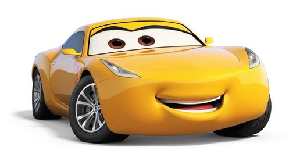 Natalie Certain is a spec analyst that analyzes and compares the performance of Lightning McQueen and the other racers. She is a minor character, but her on-air reports provide McQueen with much of his anxiety regarding his abilities compared to the newer generation of rookie racers and makes him question his ability to beat them. She creates doubts in his mind and makes him question if he really should retire. This is another minor, but memorable character. 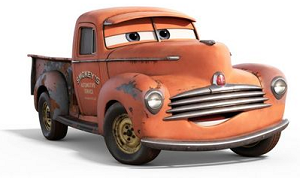 During Lightning McQueen’s training, he finds himself at a demolition derby. 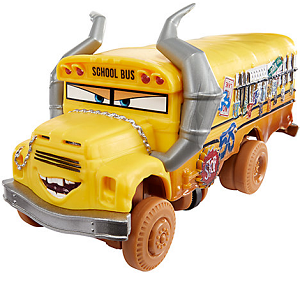 Miss Fritter is a derby-inspired monster school bus, who holds a large, intimidating presence and is a legend at the Thunder Hollow Demolition Derby. She likes to wear the license plates of her victims!